To become a patient of the practice is simple, follow the link provided here for easy online booking. Once you have made your selection one of our team will be in touch to confirm the appointment slot and request a £40.00 deposit. If you are unable to find a suitable time online please contact us directly and we will make every effort to accommodate your needs. You can call reception on 01273 303319 or pop in to our practice and book an appointment if you prefer. If you require a ground floor clinic please contact the practice to arrange an appointment. The Practice team has regular assessments for BDA Good Practice and Investors In People. We were the first practice in Brighton and Hove to achieve both of these national quality standards over a decade ago. We continue to work to provide our patients with the highest possible standards of care and service. 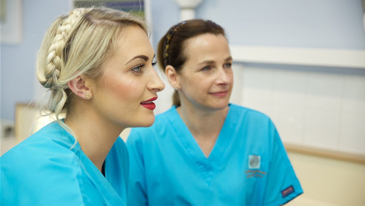 The BDA Assessor recently described Rottingdean Dental Care as a small, attractive practice that is efficiently run. The assessor noted that there is a good sense of team work and all the staff were knowledgeable and confident within their roles- with everyone clearly committed to providing the very highest standard of care. Rottingdean Dental Care is one of the few practices nationally to be awarded the CODE Quality Practice Scheme membership.